We loyal fans have truly seen it all, especially when it comes to relationships. Der and Mer. Burke and Cristina. Meredith and the vet. Derek and Addie. Denny and Izzie. Alex and Izzie. Izzie and George. (I'm still annoyed about that one.) Callie and George. Arizona and Callie. McSteamy and Lexie. Jackson and April. April and that paramedic she left at the altar. Bailey and Ben. Alex and Jo...seriously, the limit does not exist when it comes to couples on this show. But there is one pairing that reigns supreme: Meredith Grey and Cristina Yang. Derek "McDreamy" Shepard may have been Meredith's great love, but her "person" will always be Cristina—and vice versa. And that's not just because (spoiler!) Derek's dead. 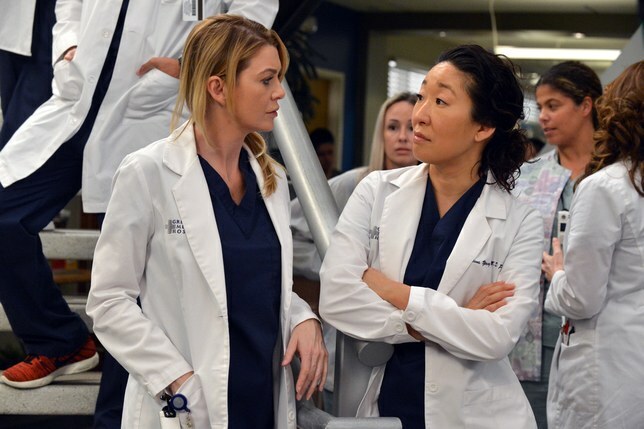 Like many great relationships that have come before, these two (played by Ellen Pompeo and Sandra Oh) got serious over cocktails. I can't even imagine calling someone your "person" not being a part of the vernacular, and it's all thanks to Yang and Grey.